I may not know you, but I know something about you. You’ve learned so much more about life through one day of failure, suffering and pain than one thousand days of pleasure and success. Your deep sorrow is intimacy of soul and the people all around you, with smiles and small talk, cannot deepen life to the extent of your sorrow. It is the gift no one prays to receive. And yet when sorrow comes, it brings clarity, resolve and a desire to change. You’re not the only one that grieves the injustice found in the shadows. 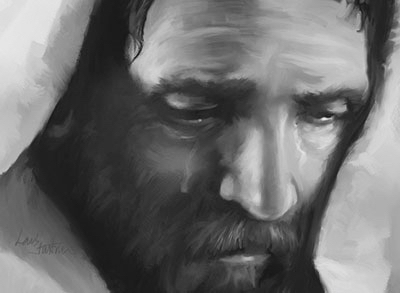 Jesus grieved, wept, and lamented as well. He wept at the tomb of a friend. He mourned a city lost in the crippling legalism of false religion, racism, and injustices decreed on the poor. He wept under the weight of looming sacrifice in the garden. When I look at my life, I, too, grieve. I grieve the obsessions I embraced that foolishly looked like safety and humility, when in fact they only gave birth to deeper dangers and pride. Like you, Jesus loved someone with no reciprocation. Like you, Jesus saw promises and covenants breached in a moment. Like you, Jesus felt the shame of false accusation. He showed us how to endure the arrow-paths of a thousand earthly sorrows. for the Son of God, who came. When we grieve over the right things we find hope in the shadows- seeing through a glass darkly yet face-to-face. The secret is to be able to bury the dead things that must be buried and call upon God to do what only He can do with the rest. We mourn but we do not sorrow as those who have no hope. Lord, save me from the kind of sorrow that leads to despair and draw me to the sorrow that leads to forgiveness and dancing. Your words are inspirational and helpful. I have lost my total family, sister, nieces, nephews, cousins, aunts etc because of my brother-in-laws sin for which I am unfairly blamed. He molested me and I told my sister who didn’t believe me. She loves him and as a result said I was telling a lie…that is nine years ago and all my attempts to heal the wound are useless. I am bipolar and the pain of living many years ago came before six attempts at suicide. I believe that the result was the pain I have had because of those attempts. I have come to love my Lord because of the pain and my wayward life during those years. Hebrews 12 tells me that His chastisement was meant to get me back to His side, and that’s o.k. but sometimes the pain of the loss is so deep I just want to go home!